October is finally upon us which means not only Halloween, but perhaps the most enjoyable con I ever participate in- London MCM Expo! I have a table in the Artists Alley from the 25th to the 27th October. Here I’ll be selling brand new prints as well as my old successful prints, copies of my small-press comic ‘Royal’, with the revamped copy hopefully ready in time, as well as my art book ‘Hidden Beauties’. I shall be adding any left over stock to my Comicsy store once the con is over. Whilst I do not know my table number yet, please be sure to pop on down to the Artists Alley and find me! My new banners will be ready so I’ll be easier to spot. I shall be announcing my table number via my Twitter handle @twinswordtrades once the table plan has been revealed. This entry was posted in Conventions and tagged convention, Hidden Beauties, London, MCM Comic Con, MCM Expo, prints, Royal, small press comics. Bookmark the permalink. 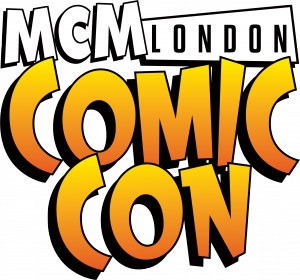 ← Find me at London MCM Comic Con!